I love cats, dogs, and all other animals—even spiders and insects. Tortoiseshell and calico cats come in a great variety of the colors: black, red, and white. Unlike what some people think, they're not different breeds. Their differences lie in their special color patterns. In this article I'll explain how the tortoiseshell pattern compares to calico. Both have the same colors (white, orange, and black) but the patterns are different. 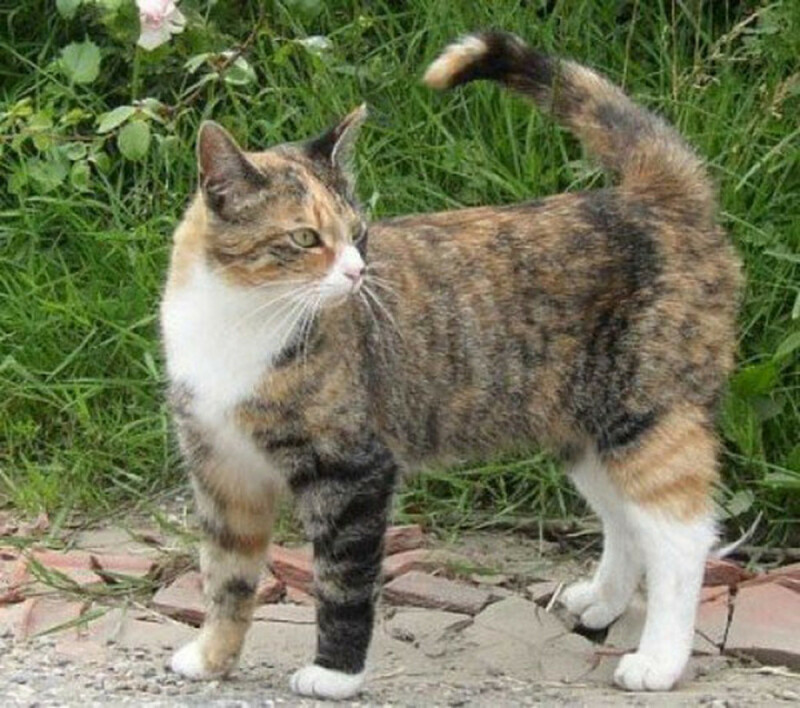 While a tortie coat might not have any white at all, a calico coat always include white. 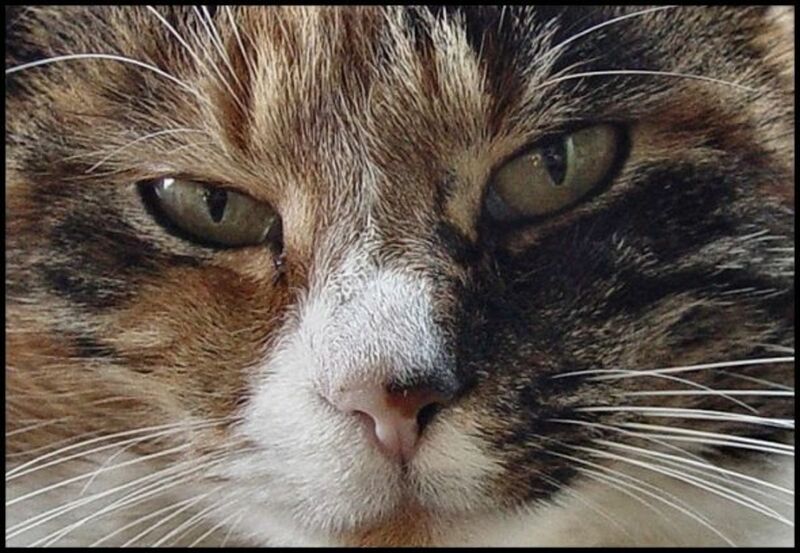 In my family we have one tortoiseshell cat (Chewy) and two calico cats. 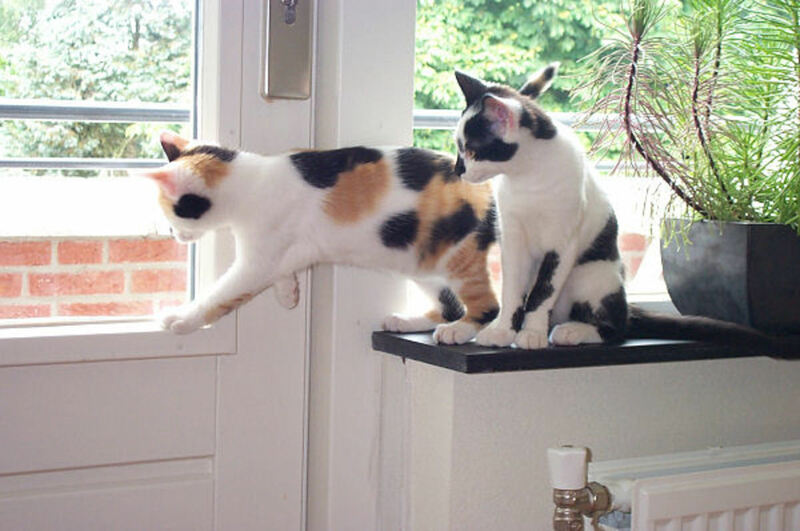 One calico with plain colored patches (Lilo) and one with tabby colored patches (Red). It was when I did my research for this article that I discovered that Red is a calico. 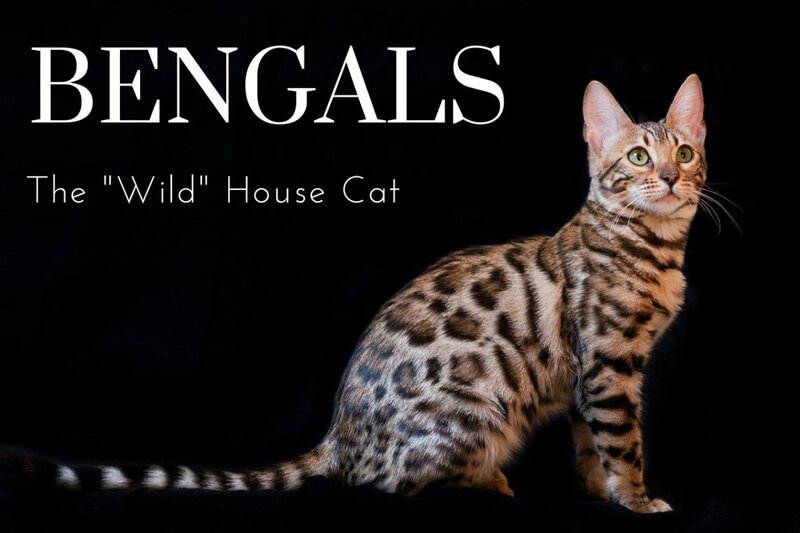 She has quite a lot of white in her coat and her colored spots are not plain, but brindled. She is what's called a tabby calico. 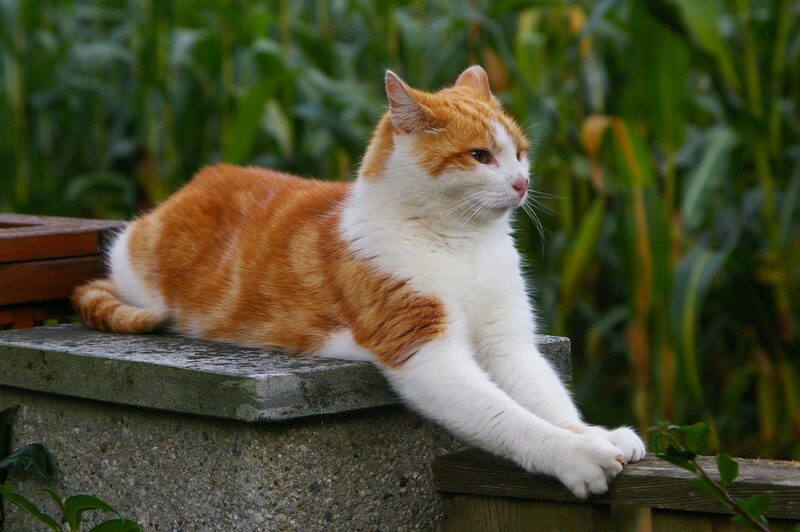 In The Netherlands, we use only one word for these cats: lapjeskat. In English this means "patched cat." Most tortoiseshell and calico cats are females. They have two X chromosomes, one for orange (XO), one for black (XB). They only pass one on to the next generation. Yet males have one X chromosome and one Y chromosome, which is either orange (XO) or black (XB). Whenever a male tortoiseshell or calico cat is born, the father most likely had an extra X chromosome, XXO or XXB, which is a rarity. Pigment genes express in what we call melanocytes. When there is a mixed pattern, these genes surface to the skin. The colors mingle in random order, giving the cat that special brindled look. 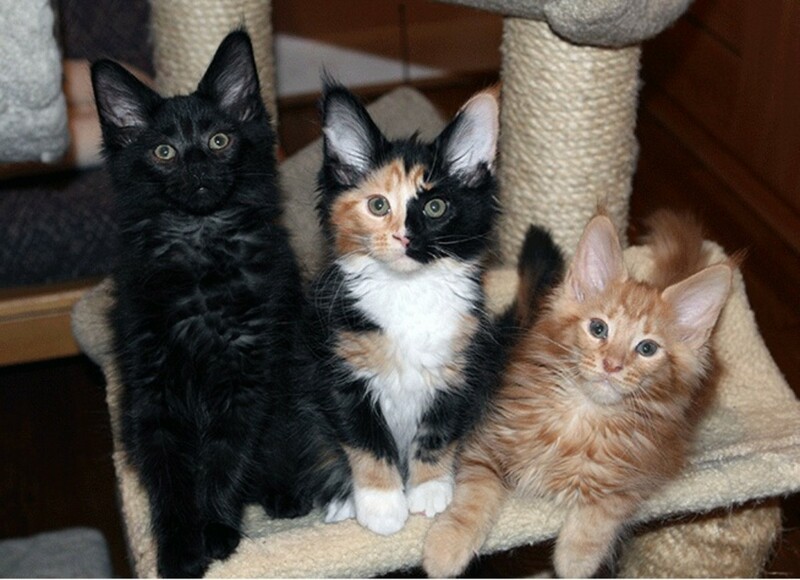 In tri-colored cats, there's a second gene interacting, which has no pigment at all. This results in either small or large white spots. This is why some cats look completely white but are not albino. They have a brindle pattern in their genes with a dominant white. This dominant white won't let the orange and black color surface to the skin. The only difference between a tortoiseshell and a calico is the presence of white spots. 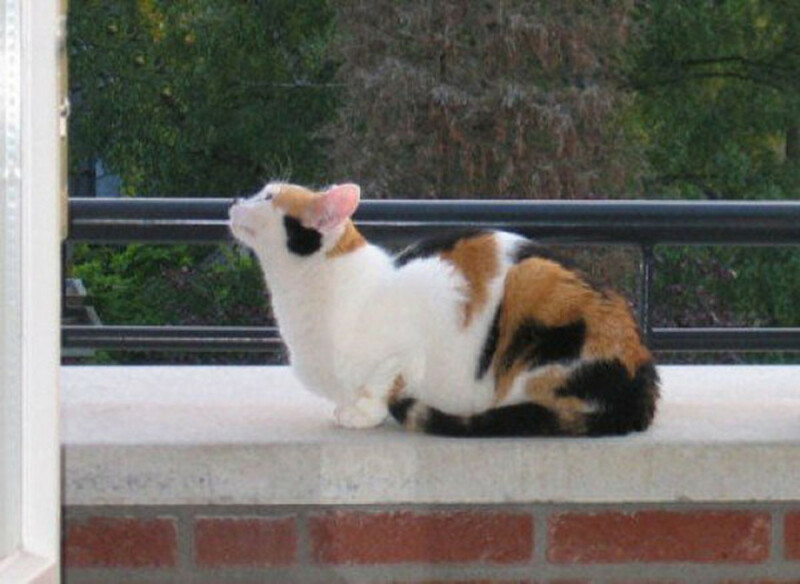 The calico pattern has an extra spotting gene, which produces white, unpigmented spots. Those white spots can be either small or very big. The spotting gene overrules the color gene. You can have an almost white cat with a few colored patches, or a colored cat with a few white spots. Tortoiseshell cats, also called Torties, very often have only two colors, red and black. They have no white at all. The color can include black, orange (red), brown, black, cream, cinnamon, and blue. These cats often have a mottled or brindled coat. They can either be short haired or long haired and the color patterns can vary from very dark to very light. You can see that this cat Lilo has a very bright colored pattern of white, black and red patches on her head and body. 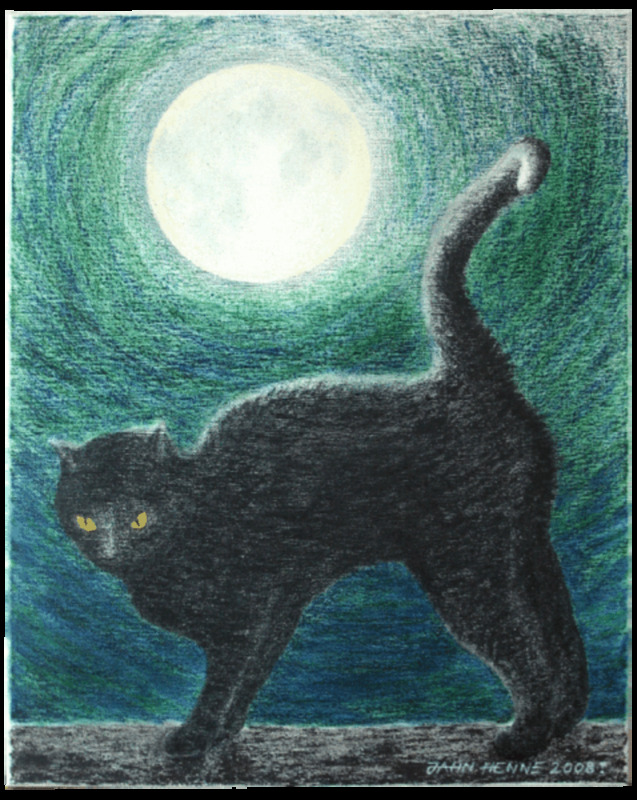 One evening in 2002, I went into the barn and there she was: A cute, but skinny, teenage kitten with very big eyes. She was shy, but also hungry, and she ate until her belly was full. She may have come from a farm in the neighbourhood. They often have cats to keep the mice away. Or they threw her out of the car. Who knows? That's how Red came to live with us. It took a lot of begging and spoiling before she allowed me to pet her. She never allowed me to pick her up though and hold her in my arms. We discovered soon enough that Red must have had a difficult life before she ended up in our barn. She must have had some very bad experience with human encounters. She comes sit next to you, purrs a lot and actually loves petting. Yet when you pet her too much all the way down to her tail, she will grab you with her claws. Her ears go back to her neck and she turns into a wild animal. You'd better get her off your lap by then. You can't pick her up, so the best way to do it is to stand up and she'll jump off. She has always been like that, all nine years long, so we keep her away from visitors. Calico cat with an attitude. 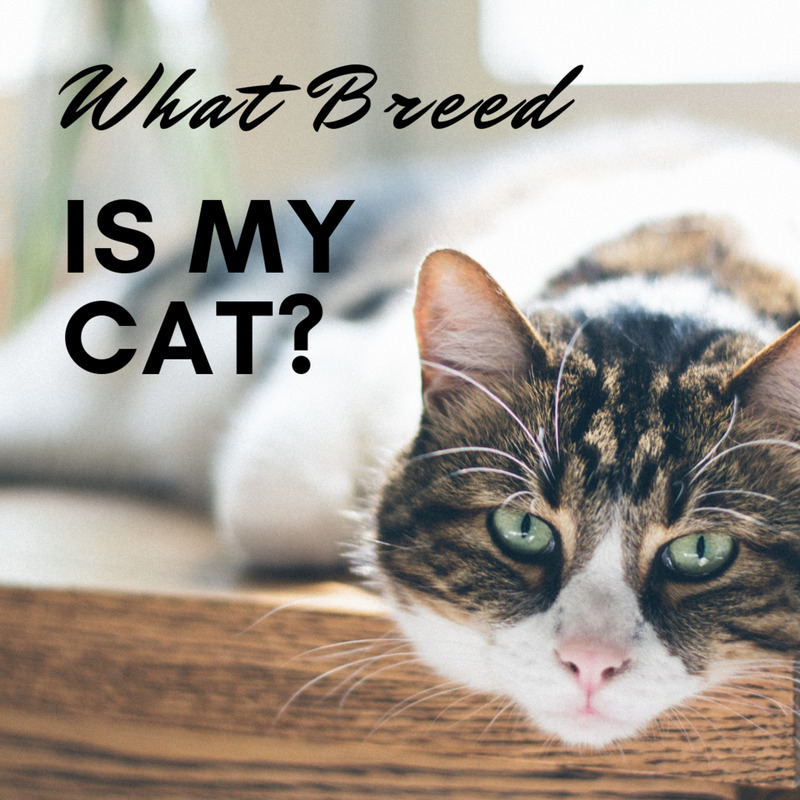 What Is a Diluted Calico? Dilute means less intensive. A dilute calico is a cat that has the same coloring pattern as a normal calico, but the red and black are not so bright. It looks like they're a bit washed out so to speak. The black is greyish blue, the red is rather creamy as you can see in the photo below. My calico has cream, or off-white, areas on her in addition to black and light orange. Is she a steaight calico, or a torti, as her vet said? Can a calico be of only two colours white and orange? Can a Calico cat be all white with hints of orange and light black? Yes a Calico can be all white with either strong or diluted orange and black spots/hints. Even when the colored spots are the size of a pin head, it's still a Calico cat where the white has the upper hand. I had a calico & Tortoiseshell, they are sisters from the same litter, how unique is this? I love calico, and black cats.I have 3 calicos , one is 18, one is 14. and one is maybe 3 months old and then a black cat who is around 8 now, she was found out in a ice storm with her brother( a tux) and my daughter brought her to me. #Deborah Simpkins: Yes, she's a calico. I just got a kitten. She is mostly dark gray with red. She has white feet and a little white mixed around. Is she calico? I have a tortoise shell calico. 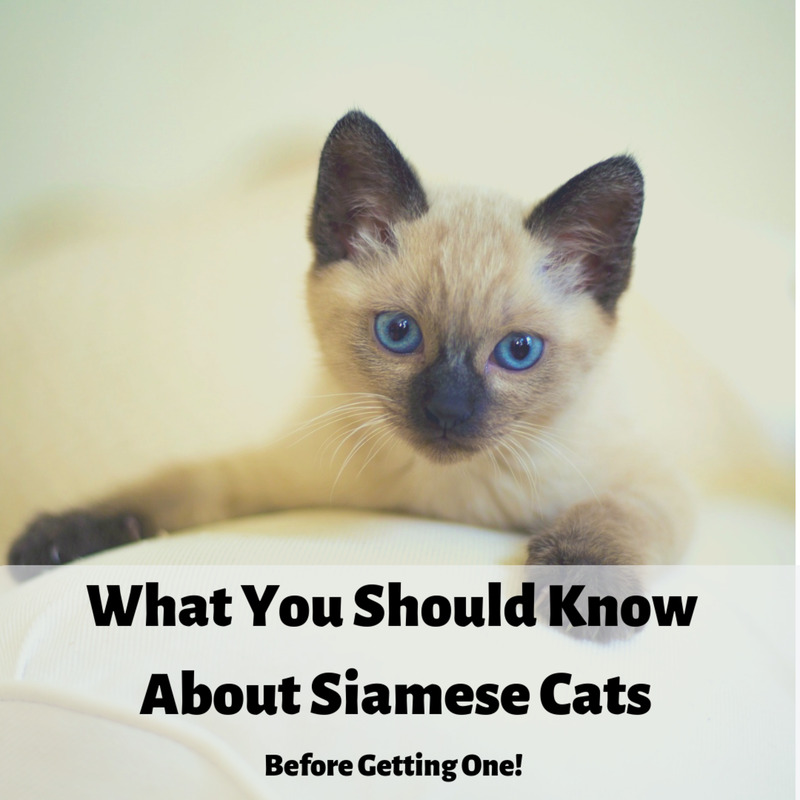 What a great story to read about your cat. Good for you to take in a stray cat and care for her despite the fact that she's not friendly towards people. Sometimes I wish they could tell us their story and what happened to them. Only thing we can do is give them love. #Burdie, that's a whole lot of kittens you have. We had 10 at one time long ago, now we only have 'Red' and she turns 17 this year. I am proud owner at the moment of of 12 ----1 is 12 yrs old still acts like a kitten 1 I rescued & has an attitude 3 are kittens I rescued one of which gave me 7 babies 6 lived I couldn't part with building a cattery from Jackson Galaxy designs momma is preg again this is her last. When they are of age they are gone & she had an appt with doc. One of her kittens I thought was a tortie but after reading your article I realize she is also a calico as is a sister and mom . Thanks for your article. Hi EM, thanks for your comment. It's not so strange that your cats don't love each other as much as they did when they were young. Cats actually are loners, they don't really need the company of other cats to be a happy cat. They can also be quite territorial. As long as they don't fight all the time it's ok. I have 2 tabbico sisters. One is diluted the other is not. They loved each other until the age of 3. Now at age 5 they tolerate each other but don't act the loving way they did as kittens. Thanks for your comment Emily. Red uses both sometimes, but getting older made her a bit milder too. She's becoming an old lady. Ha our tortie Amazon is almost exactly like how you describe Red, except she chooses teeth instead of claws for the most part. She also is a chronic "love nipper" when you pet her. She rarely goes into full out beast mode, but when too stimulated it's best to just leave her be. Silly felines! Doris_Mae, thanks for your story. Our cats have been strays most of the time and they all had/have their own background package to carry of which we'll never know the content. You just have to accept them the way they are and love them. # Rita: I don't think the way your cat holds her tail is breed related. Cats often hold their tail that way because they're excited in some way or other. I have a tortoiseshell cat. my cat holds her tail in the air over her back when she walks or runs.Is this a normal for this breed. Her tail curves at the end also. Does anyone have a cat with this trait? I would dispute your use of the word "own" in the first poll question: how many of us actually own a cat? Do they not own us? Or at least decide to live with us! Currently we care for 17 cats, rescues of course, the latest one being the calico kittie rescued trapped in the house/garden behind us in the summer when she was a baby. We live in the south of Spain. @ Hannah: even with very little white spots, your cat is a calico. Tortoiseshell cats have no white at all. My cat, Hazel, is a calico but she has very little white is she a tortoiseshell cat? I have a tori who is my best buddy ever. Her name is neko-chan. Neko is japanese for cat and chan is a term of endearment for a young girl. She knows my routine so well and comforts me when not well. Hi CrystalDragon3568. I'm so sorry I didn't see your post earlier. I haven't been around HP much due to busy busy times with my sheep. I'm glad you found my article useful. I think your cat would've been a Callico, but that's a guess. Without a photo it's not easy to say. Thank you so much for this! I was planning on making a Warriors fanfic with alot of tortoiseshells (they're so fun to draw, along with calicos!) and I thought that the only difference was that tortoiseshells have one main colour and two splotches of colours, whereas calicos are just tricoloured. This helped me learn alot, so thank you!!! 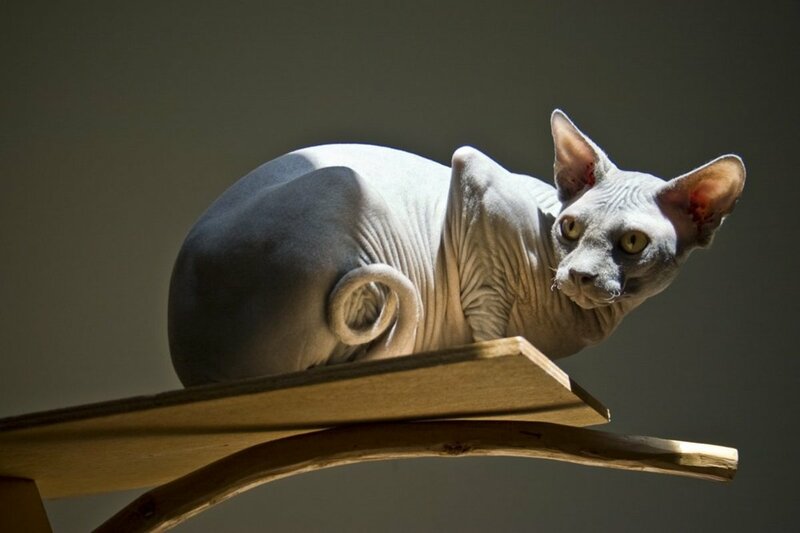 I shall use this knowledge when creating semi-realistic cats, and if anyone asks me for a article on the difference between these two amazing colours of cats, then I will link them here! I also rated a 10/10, as this was so helpful!!! Thank you so much! Also, I have (had) two (now I have one) calico cats, and one of them (Tiger) ran away, but she was almost all black and orange with a tiny bit of white on her. We were told she was a calico. Is she a calico or a tortoiseshell? Reading this article made me think about that, so I thought I might ask. Thanks! Thank you for wonderful article (lens?) about calicos/torties, with beautiful personal pics and antidotes, and simplified genetics for myself! (-; I live in Kansas (KS) with Joey, a black cat with only 3 white hairs on his whole body (not sure what his coloration would be labeled based on your lens). My sister hand raised he and 4 siblings when feral mom birthed them under her deck in a thunderstorm and ran off never to return for them. Family members each took a "little one" at 8 wks., we had them neutered or spayed and I chose the little black fellow (who is now 16 pounds). I had just returned to KS in 2006 after living in Ohio for 20 yrs because my Multiple Sclerosis had worsened significantly and I needed family support. Where I now live are "independent living" 6-plex apartments. It is in the middle of the city and we are next to a medium sized cemetery. There were feral cats in the area that I began feeding 6 yrs ago with the gratious help of Michelle, my home health aide, who was an animal lover, though not so of cats (until she began developing personal relationships with some of the little guys... and Joey, of course). About 5 years ago with the great assistance of a wonderful feral feline organization that has a TNR program (Trap, Neuter and Retun) they helped stabilize the population and provide rabies shots for "the kids" who now number 9: Sylvester, Tommy, Arlo, Precious, Cleo, Little Yin, Mama, Blackie and Gabby. 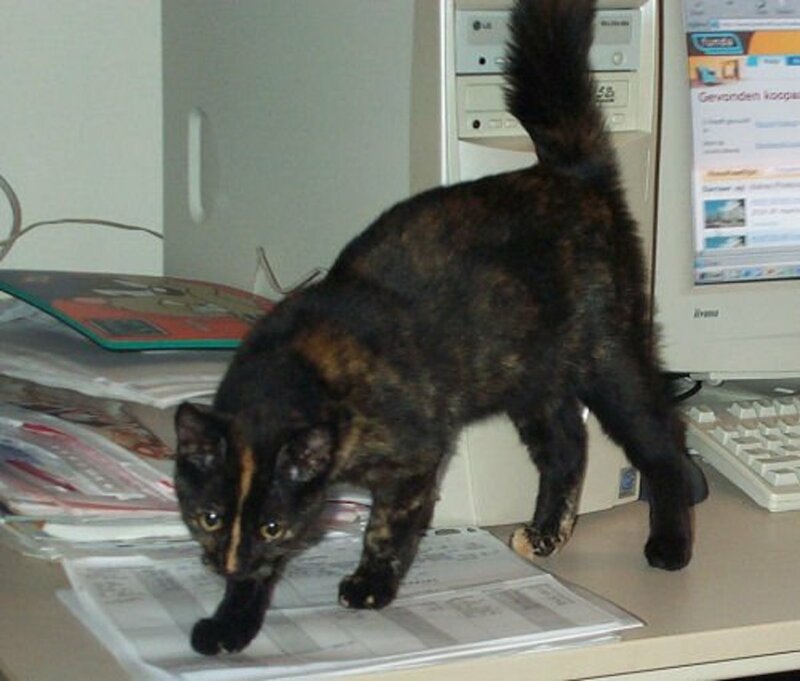 Six yrs ago a very petite "brownish" tortie(?) maybe 5 mo. old showed up on my tiny porch peering through the bedroom window looking at Joey. She did not seem to be befriended by my colony of cats but she and Joey quickly developed a relationship. Eventually I felt I needed? to bring her in for a number of reasons. I named her "Palette"and she's maybe 7 pounds. She has a huge attachment to Joey and having been feral has slowly developed a bond with me. Her nutrition was poor and she is "slow". She is very shy and needs the protection of Joey and me. I dearly love them both. 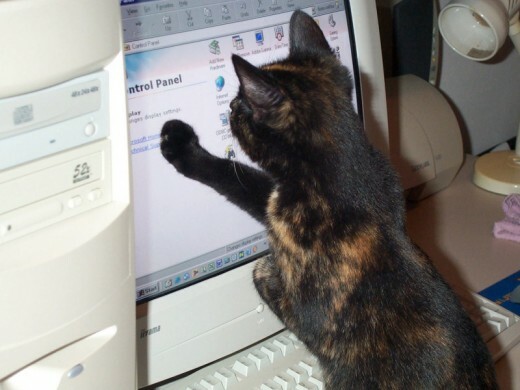 I am glad to have found your web site and plan to share it with my friends of cats and feral cats. Thank you. We had a calico cat when I was a kid. Not very creative, I called her "Cali." 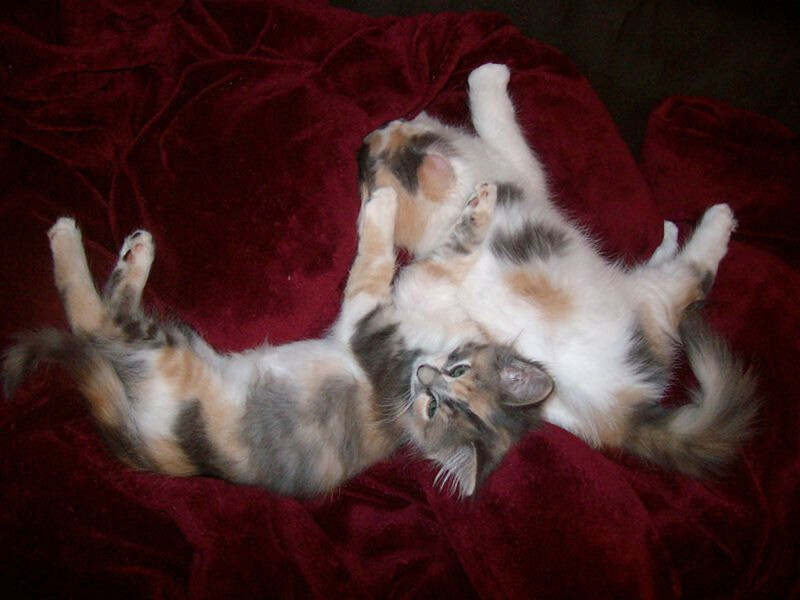 Years ago, when I raised cats, I had a pair of tortoise shell cats (twins) born to a litter. I had no trouble finding homes for them. Came back for a visit and see your photos again...Red's nose marking is like my Kitty's...they even resemble each other...by the way, I made a wrong button choice on the Debate..sorry about that! I can never pass by any lens about cats! And yours was most informative and delightful! Two of my rescue cats have been long haired, polydactyl calicos. They came to me 30 some odd years apart but were both so identical in personality and appearance that I became convinced the second calico was a reincarnation of my first one. I had been catless for quite a while and my dad thought that I needed a kitten for my birthday. He did not know where to get me one. The wind blew a discarded newspaper his way and picking it up he found an ASPCA ad for kittens. I was so excited! But when I got there I wanted every cat and kitten I saw and started crying because I could not pick just one. 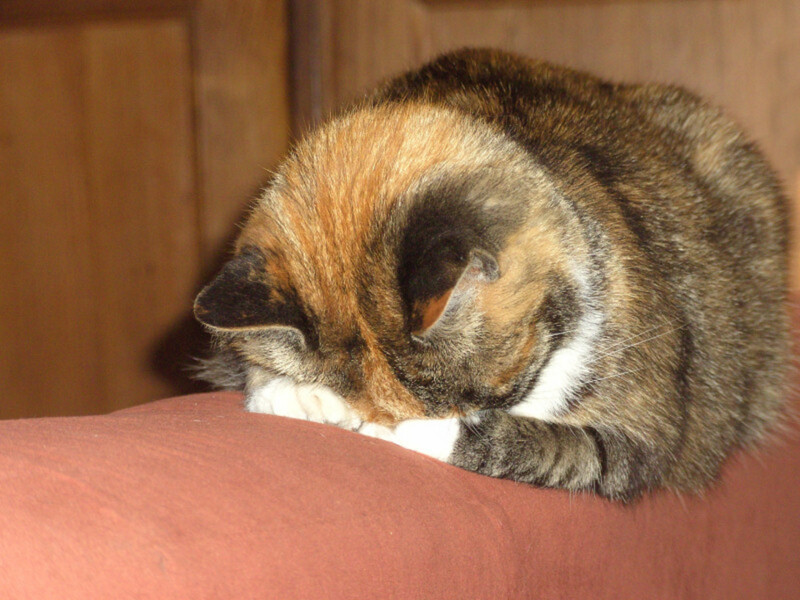 Then I heard a cat calling and crying loudly from a distant room in the shelter. It sounded just like my Purrsia used to call me. I got my calico Purrsia when I was in the second grade. She was my best friend growing up. She lived to play with my daughter and died after a long life. I felt like somehow Purrsia was calling for me, some 30 years later. When I started through the door to find her, the attendant informed me that there were no cats available for adoption in that part of the shelter. I convinced them that this was my cat calling me. As she was making such a fuss crying and calling, they let me in to her cage. I could not believe my eyes when I saw her. She pressed her nose up to the cage and rubbed up against me and "talked" to me as if telling me all about all of her adventures during our separation. Marked exactly the same, with the same big polydactyl paws, chattering away to me in her same unique voice---I could not believe this was real. The shelter let me adopt her because it was obvious she was my cat. She had been their Mascot Shelter Cat and they were planning to keeping her. I had dreamed about Purrsia the previous night, and I did not know at the time that I was going to be surprised with a birthday kitten. @norma-holt: Here we have only one word for the tortie/calico too, doesn't matter if they have white or not. This is a very informative article. I never heard of Calico cats before reading lenses about them. It seems to be an American term. In Australia multi-coloured cats are all tortoise shells. I have one now that is an absolute Gem and that is her name. Her last litter produced 2 beautiful ginger females and one of them is still here. She looks Red and her coat is unbelievably beautiful. Her daddy is a Turkish Angora and she has a wonderful personality. Being ginger and white she is not a tortoise shell but she is certainly unique and 'Red' certainly suites her as a name. Well done. I have a calico named Precious, she is a very sweet cat. We have a calico girl, named Calypso. She is quite the character! We had a tortoiseshell tabby named Frisky. She was great and so pretty! I have had a torte who was a wonderful cats. None of the cats I have now are torties though. Very informative lens. I have a brindled calico. I also have a tortie named Clare and a tortie with some Burmese mixed in (a tortie with extra grey and a Burmese-shaped face). Their markings are so beautiful! My 'footprint' or 'paw print'...LOL. What a fun story. Love the pictures of your cats. I once had a Calico cat who crawled into a crawl space in the laundry shed in the carport that was covered by the same roof as the house and found herself in the attic space. She proceeded to have 5 kittens up there which we discovered only by hearing tiny 'mews' in the ceiling of the living room! We only had a removable square in the hall ceiling to gain access to this small space above, so put up a ladder and sent our 11-year-old son up with a box and admonishes to make sure he brought back every single kitten (and mama cat). Success. My favorite coloring of cat! Blessed by a SquidAngel! Thank you to share my major subject with great informative lens. Your calico cat Red looks like one very happy kitty. I love the photo of Red on the stump overlooking the garden. Great picture for those who love cats. Actually, I'm going to leave a paw print. We have a dark brown tiger house cat. Her name is Olivia Felini, and she is a very good cat. Thanks for the beautiful photos and delightful stories. Meow. My sweet Guinevere is a dilute torbie. She's also FIV+. You can see pictures of her on my lens about Quinn, our other FIV kitty. Wonderful lens about one of my favorite subjects........cats! @tricomanagement: Happy International Women's Day to women everywhere! I got so caught up with your Lens that I forgot to wish you Happy International Women's Day - awesome lens - loved it! Great lens. We got a tortie from the shelter years ago. She was one of the best cats we've owned. I took a trip to our local SPCA to drop off some cat treats just recently and of course fell madly in love with an old cat who gave me the "eye". So after 3 days of begging my husband to allow me to have another cat I am still receiving a firm NO! I so envy you your wonderful cats. I used to have a tortoiseshell cat and she was absolutely the most charming creature that I have ever had the pleasure of knowing. I sure miss her. Blessed! Please add this to my Christmas Gifts and Blessings lens. The best cat I ever had was a tortie. She was beautiful and she knew it and she was very loving actually she was an attention hog. Pretty cats and I used to have all different ones, but live in an apartment now. Nice lens. Great lens, I love cats, but I do not have any now. Protecting the Kiwi (bird) as we live in the high bush country in east Taranaki New Zealand. Enjoy the call of the kiwi instead which they must be protected from dogs, cats and rodents. But I did have a calico cats as you have already found out. Blessed. I enjoy your lenses so much. They have a wonderful honesty and emotion to them that is lacking in so many articles today. 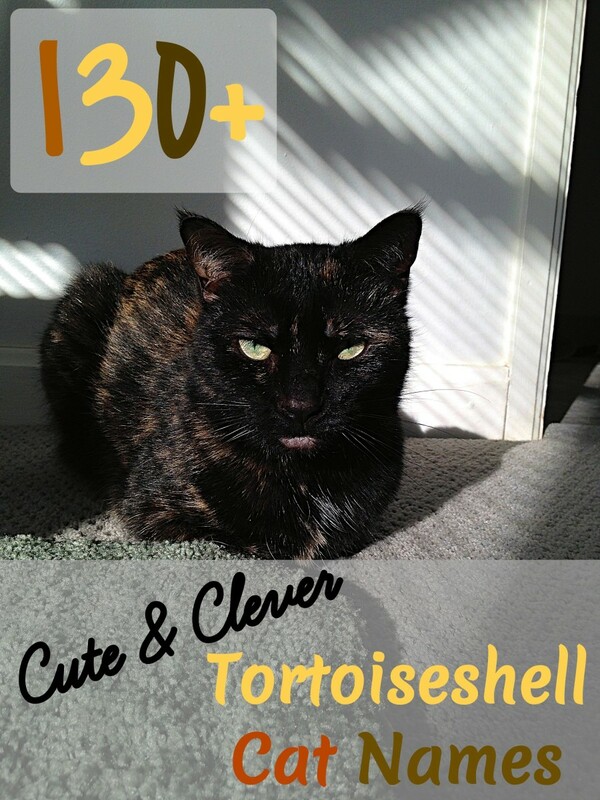 Great facts about tortoishell and calicos. I love cats, had 2 for 17 years. I just can't bear to replace them yet. You do seem to be an expert! Great photos of Red. 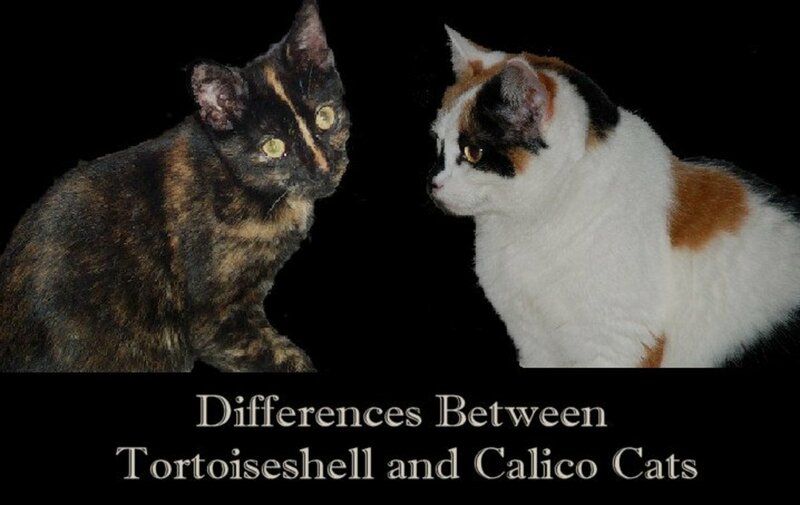 I never knew how to tell the difference between Tortoiseshell and Calico cats. I've probably called each by the wrong name! Our vet told us that our cat was a "Diluted Calico." She is sweet. But her mom, a tabby, is much like your Red. A little bit wild.